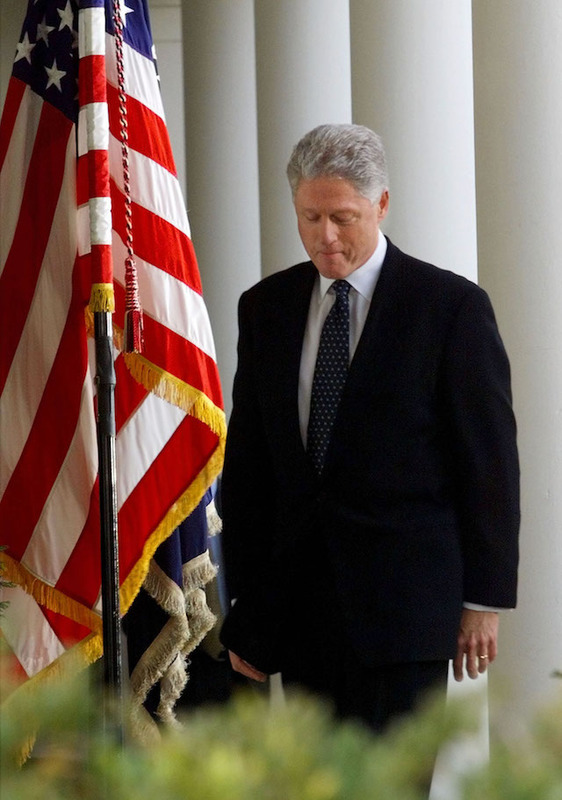 History Channel confirmed Wednesday that it has scrapped plans for a six-part drama series about Bill Clinton’s impeachment, Deadline reports. A handful of A-list celebrities had reportedly been offered lead roles, but no one had yet to be cast. The other parts of the series — focusing on the presidencies of Franklin Delano Roosevelt, Ronald Reagan, Theodore Roosevelt and Thomas Jefferson — are reportedly still in the development stages. The Clinton series was going to focus on everything from the “revelation that President Clinton was having an affair with White House intern Monica Lewinsky” up through the drama that put Hillary Clinton, Special Prosecutor Ken Starr and many others in the headlines.